Mobile billboard will highlight the disappearance of Damien Nettles and the new reward being offered by a local businessman. 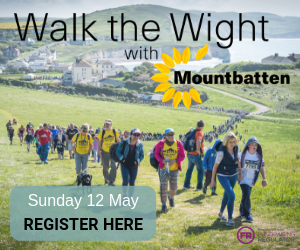 Readers will remember the OnTheWight report published last month about a new reward for information leading to the discovery of missing teenager, Damien Nettles. A local businessman, who wishes to remain anonymous, has put a reward of £10,000. 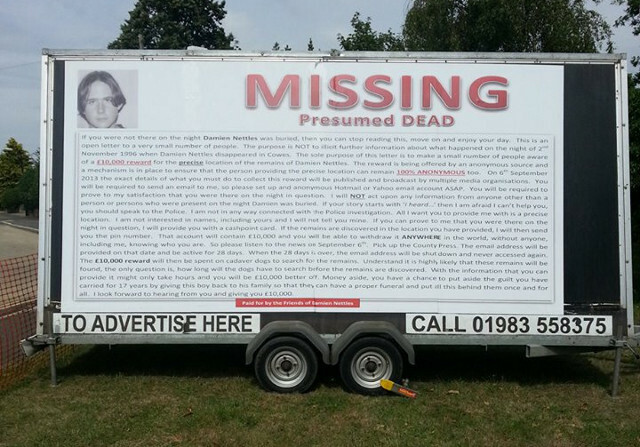 A mobile billboard (pictured) highlighting Damien’s disappearance and the new reward is being driven round Cowes today and will then be parked on Ward Avenue for the rest of Cowes Week.